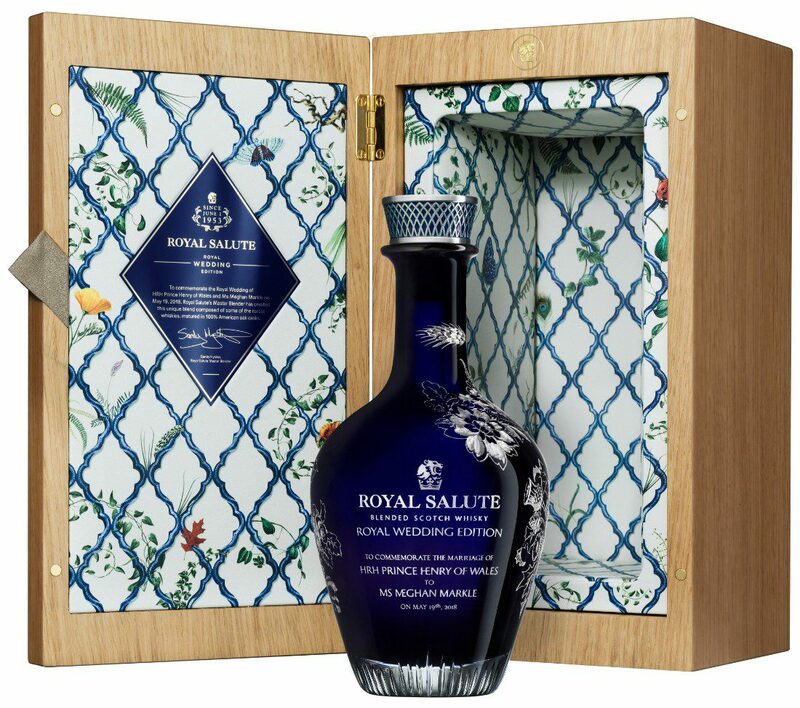 To celebrate the Royal Wedding of Prince Harry and Meghan Markle, esteemed whisky purveyors Royal Salute have released a commemorative Royal Salute Royal Wedding Edition whisky. The limited edition whisky features tasteful nods of reference to this unique marriage. Limited to a release of only 70 bottles, the exclusive whisky builds on the success of previous commemorative whiskies from Royal Salute. Blending is the cornerstone of Royal Salute and for this special release they blended more than just whisky. Adopting a number of influences that reflect the Royal couple, thought has gone into every aspect of its presentation. As a tribute to Meghan’s American heritage, this unique blend has been fully matured in 100% American oak casks. A first for Royal Salute. Resulting in a lasting and creamy finish that complements its sweetness on the nose. The Royal Wedding Edition whisky features a blend of 55 year old, 36 year old and 33 year old whiskies that only Royal Salute are lucky enough to have within their archive. The sweet nose boasts notes of creamy vanilla followed by burnt mandarin and spicy cinnamon. The elegant bottle is hand-blown in blue crystal by Dartington Crystal. It features etchings of roses, thistles and barley, painted in silver. Additionally, the presentation box has been hand-crafted in American oak. And within, its adorned with flowers and foliage as a subtle nod to this Spring wedding. Daffodils celebrate Harry’s title as Prince Henry of Wales while California poppies feature in tribute to Meghan’s birth place of Los Angeles. 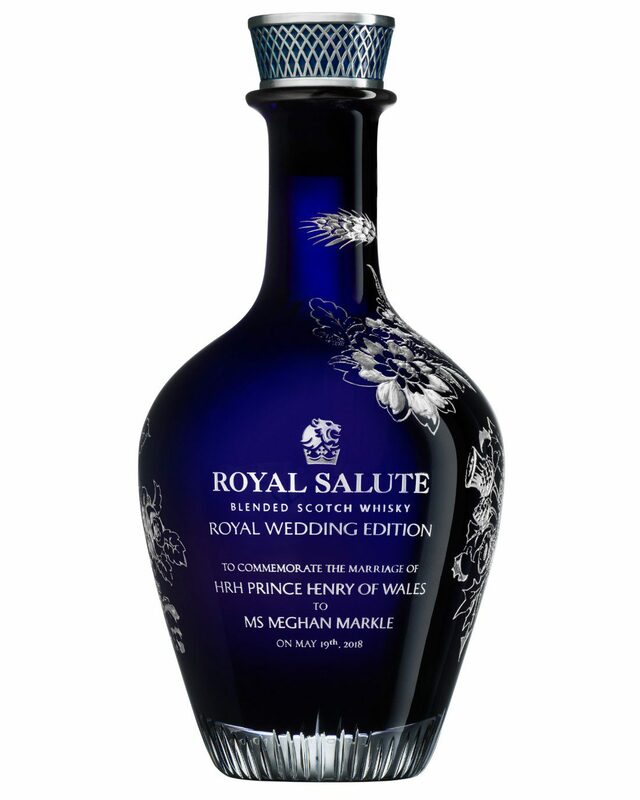 Each bottle is engraved with a unique number, with 1 of 70 being given to Harry and Meghan. 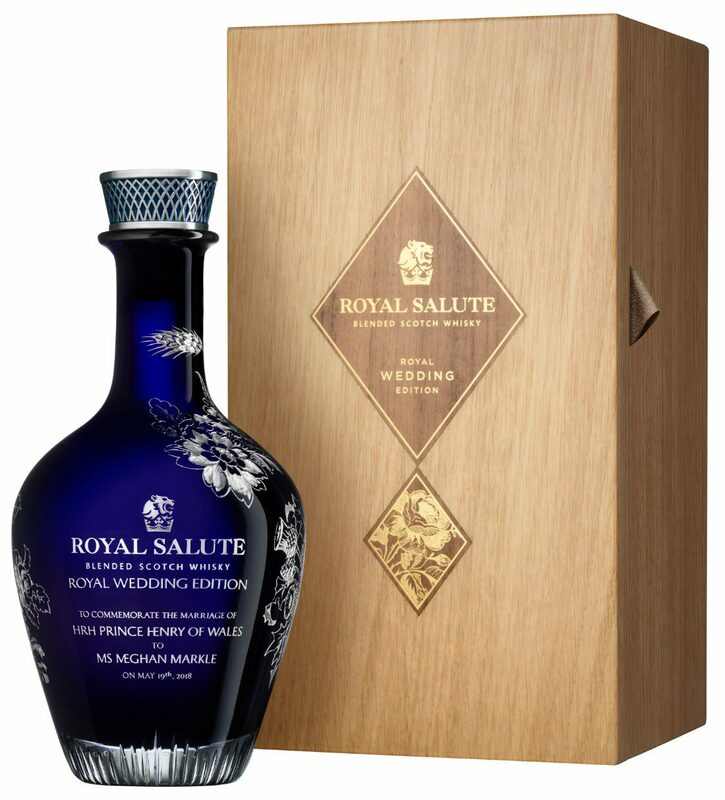 The Royal Salute Royal Wedding Edition is available at selected retailers and through special enquiry. Priced at $10,000. 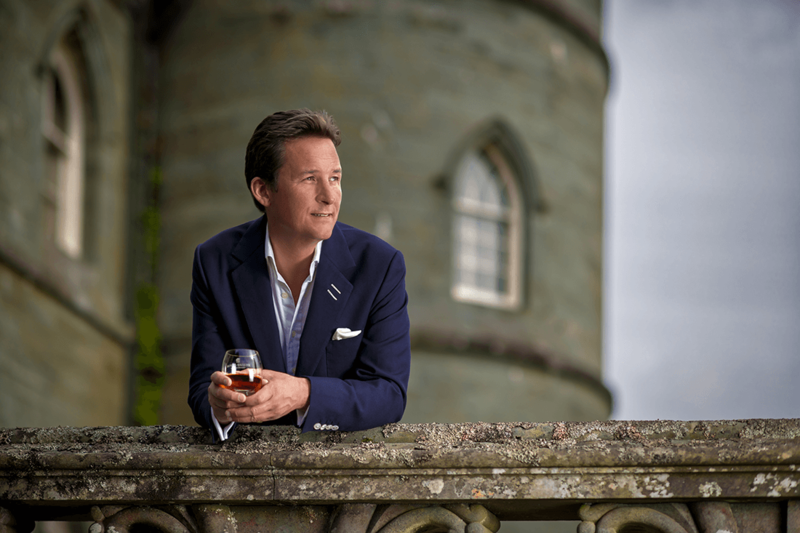 Whisky connoisseurs can contact Royal Salute at [email protected] for more information. Chris is the Style & Features Editor at Ape to Gentleman, and one of the UK's leading style commentators. Having worked in the fashion and design world for his entire career he's well placed to deliver sartorial advice.